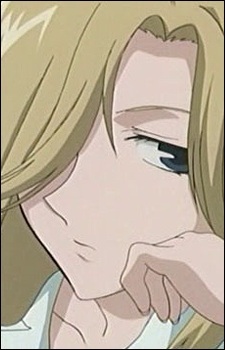 Arisa is a former gang member (a "yankee"; a Japanese version of the American "gangster thug" image) and has been one of Tohru's closest friends since Tohru's mother helped her escape from the gang (called "The Ladies") when she wanted to leave it. Arisa is tough, brash, and sometimes violent but cries easily when it comes to her friends. She wears long skirts, carries a lead pipe, and often speaks like a man (in Japanese, different word choices can categorize a speaker as male or female). Arisa likes to play cards, protect Tohru from Yuki's fangirls, and swim. Her "convoluted" personality stems from home problems early in her life, when her mother left Arisa and her father for another man; her father became an alcoholic after his rejection. This caused Arisa to become harsh and jaded in her views of the world until she met the kind Tohru and her mother, Kyoko. With her overprotective and rather "parental" protection of Tohru with Hana-chan, she comes off as the brash and direct "father" figure. She falls in love with Kureno Sohma.